Make it clear up front that at least one other teacher besides the special educator should stay for the entire duration of the IEP meeting. 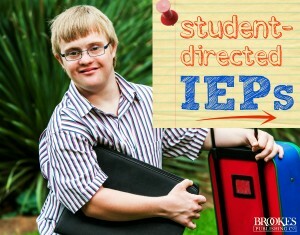 The expertise of a general education or content area teacher is integral to the success of the IEP process. If multiple teachers can’t attend the IEP meeting, they should provide a written report that can be given by one classroom teacher representative. Failing to record what was actually stated at the IEP meeting. For example: say an IEP team meets and determines that a student is not in need of a one-to-one paraprofessional. 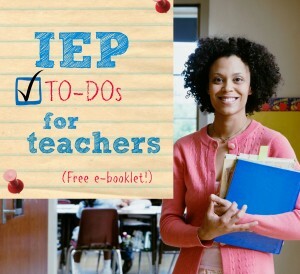 But the teacher doesn’t agree with the rest of the team’s decision–so she goes ahead and writes in a one-to-one paraprofessional in the document because she happens to be the one actually writing the IEP. Develop safety nets so that one person on the IEP team can’t write in requirements that weren’t agreed on by the group. Be sure that one or more people always proofread the IEP to make sure it reflects what was actually said in the meeting. Train the person recording the IEP so he or she fully understands the importance of recording exactly what’s been said and decided on. Also, more schools are now using technology to project the working IEP onto a screen during the meeting, or developing other ways to share the document and facilitate collaboration. Options like these give everyone a chance to review and approve the document right there in the meeting, as it’s being typed. 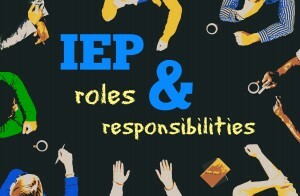 Developing an IEP that doesn’t meet the “stranger test.” When an IEP is well-crafted and individualized, a stranger from another school should be able to pick up the IEP and know what to do. 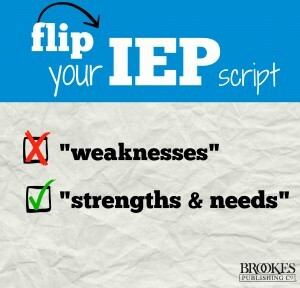 Carefully craft the IEP so it’s specific to the individual needs of that child. Make sure that all the information concerning current levels of academic achievement, functional performance, and goals and objectives are written in “MOO” terms–that is, measurable, observable, and objective. 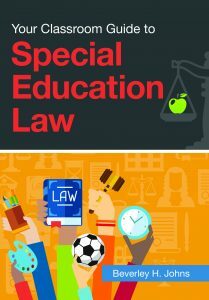 Read the IEP before sending it out to the group, and ask yourself: If someone who didn’t know the student read this IEP, would he or she come away with a clear understanding of the student’s needs? Also, avoid overusing checklists. For instance, some teams will use an accommodations checklist and check off everything just in case the student might need it. This isn’t very useful, because someone might review it and think the student automatically needs all of the accommodations. And when an IEP is almost all checklists, the needs of the individual child can get lost–especially if every student in a group has the same items checked off. Showing up late for a student’s IEP meeting. Every member of the IEP team is busy, and it can sometimes be tough to balance all commitments and appointments. Try to schedule IEP meetings for a convenient time when all or most participants can easily attend, and work hard to be on time for each meeting. Being late can communicate the unintentional message that you have more important things to do than be on time for this student’s IEP meeting, which gets things off to a bad start and can create an adversarial situation with the parents. Scheduling too many IEP meetings in one day. IEP meetings can frequently run over, which means subsequent meetings will be delayed–creating frustration for all involved. Also, IEP team members will probably be exhausted and not at their best after participating in several meetings over the course of a single day. So it’s wise to limit the number of IEP meetings scheduled for one day, and always be careful to space the meetings out so there’s enough time between them. Failing to extend an IEP meeting invitation to the outside agencies responsible for providing services when the student leaves the school system. Transition discussions should occur as early as possible, and IDEA requires the involvement of outside agencies when the student reaches the appropriate age and grade level (i.e., secondary school age). Even if you don’t think representatives from these outside agencies will come, your district has the obligation to invite them to the IEP meetings. These professionals can provide critical insights and suggestions that will help you support the student effectively as he or she prepares for life beyond the classroom. 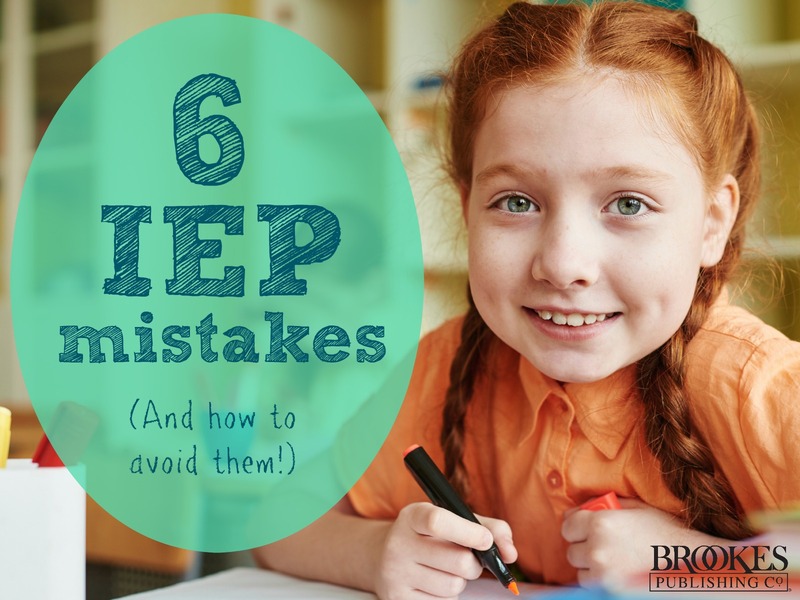 What’s the biggest IEP misstep you’ve experienced as a teacher or parent–and how did you resolve it? Share your experience in the comments below. Explore Your Classroom Guide to Special Education Law, a concise, interactive quick guide that lays out the basics of special education law in an engaging, easy-to-read format. I literally schedule 12 in one day (a sub was given to cover my inclusion position for the day)…I only got 6 done due to not being organized, realizing that I needed more data, trying to create plans on sight, not fully understanding eligibility and goals students are allowed to have and not allowed to have. In addition my co teacher for math and ela “didn’t know” about the meetings after I literally shared the doc with them, I’m limited to access when it comes to data that I can pull from data bases, etc. if they would have just met with me when I asked initially, or at least look at the document that I created for then to enter their behavior and academic concerns as well their assessment scores I would’ve been A OKAY! ….maybe. Today was bad. But hey I learned a looooooot!